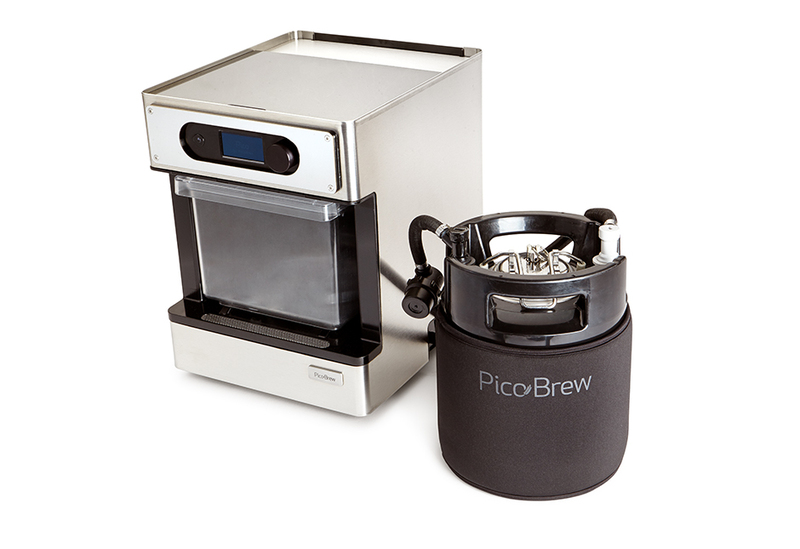 Pico Pro makes brewing easy. 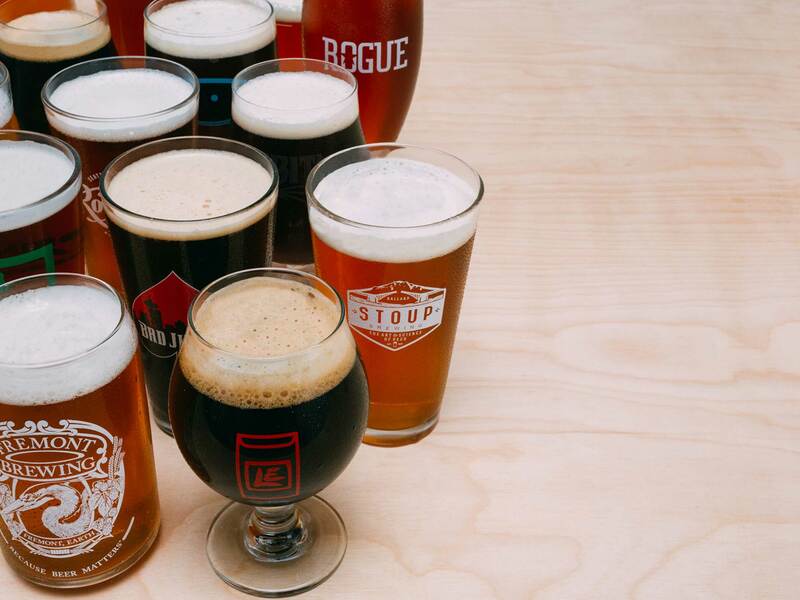 Choosing what to brew next is hard. 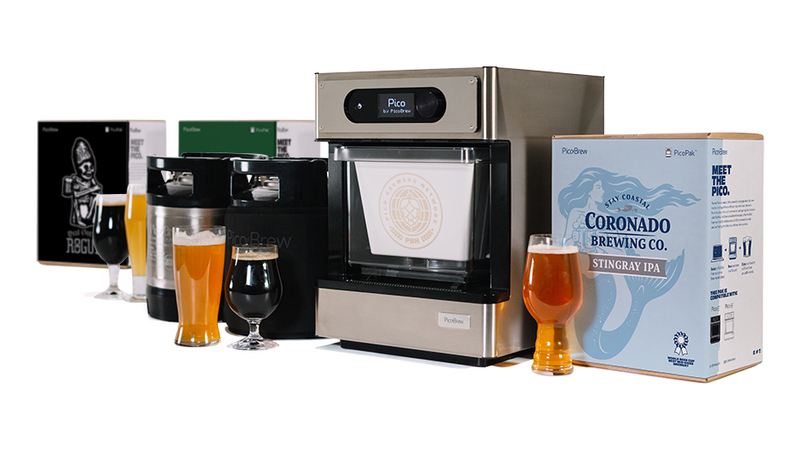 Authentic craft brewing on your countertop. 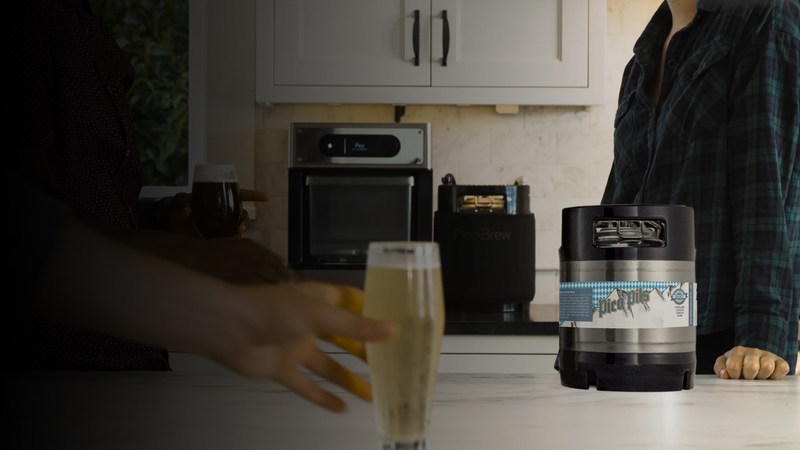 With the new Pico Pro precision brewing appliance, you can craft 5 liters of the finest fresh beers in your own kitchen in about 2 hours. Your brew will be fermented, carbonated, and ready to enjoy in about a week. 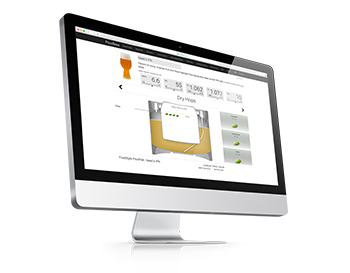 Pico Pro was created by beer enthusiasts, for beer enthusiasts. We share your passion for great beer, so we made creating it from fresh, grains and hops more convenient, instrumented and precise than ever before. We amp up the joy of brewing by creating predictable, high-quality results and we eliminated the drudgery of endless cleaning and sterilization steps. 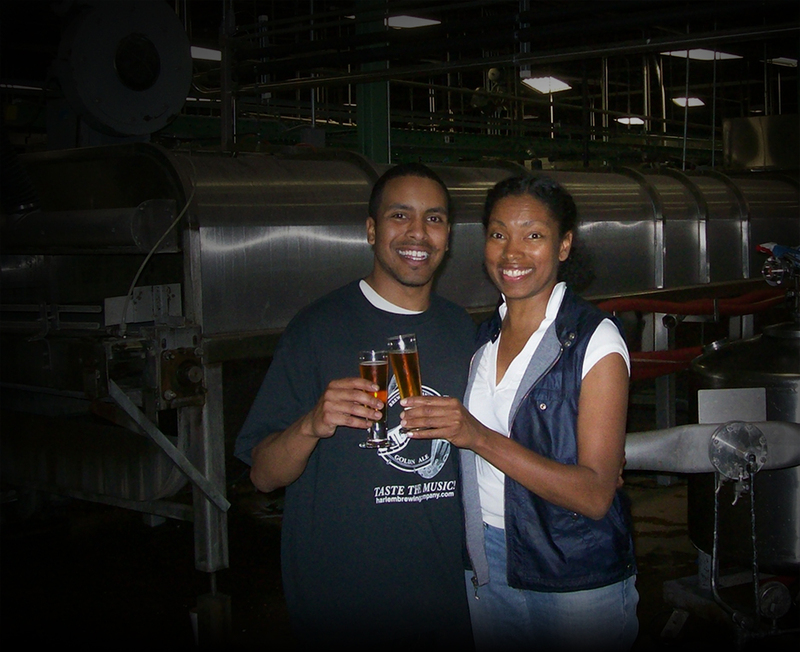 Fresh Pico-brewed beer has all the nuanced flavors and aromas of the beers produced by the pro brewmaster. 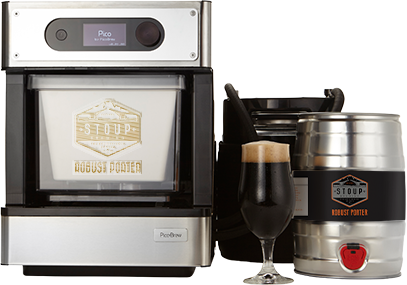 Pico Pro brings the taproom to your home by letting you brew celebrated, award-winning beers from over 170 brewery partners around the world. You can also craft your own custom creations. What will you brew next? 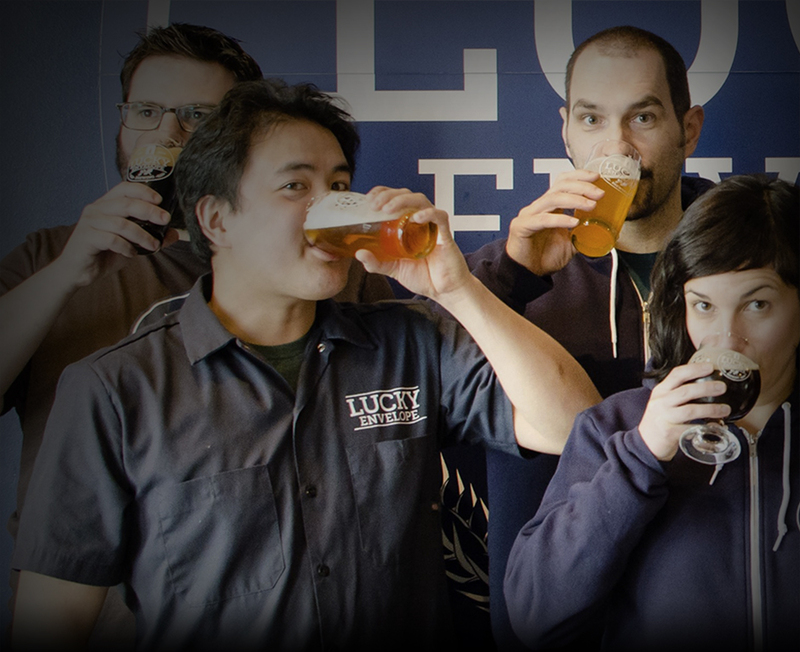 Brewing the freshest, highest-quality beer has never been easier – or tastier. 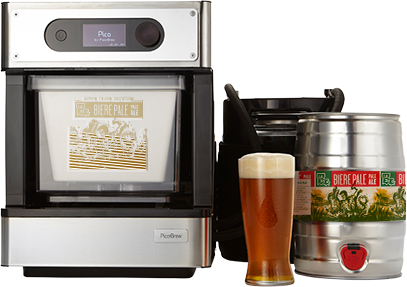 With a Pico Pro in your kitchen, you can brew your own great beer without all of the complex equipment, vessels, sterilization and cleanup. 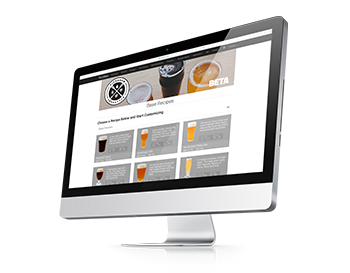 Select one of the dozens of BrewMarketplace PicoPak recipes or craft your own using our FreeStyle program. 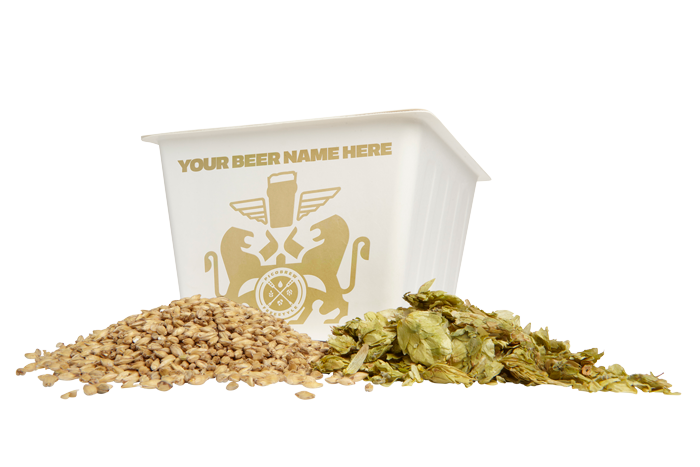 We'll deliver a PicoPak full of fresh grains, hops and yeast to your doorstep and you’ll be brewing and proudly sharing kegs of your awesome beer before you know it! 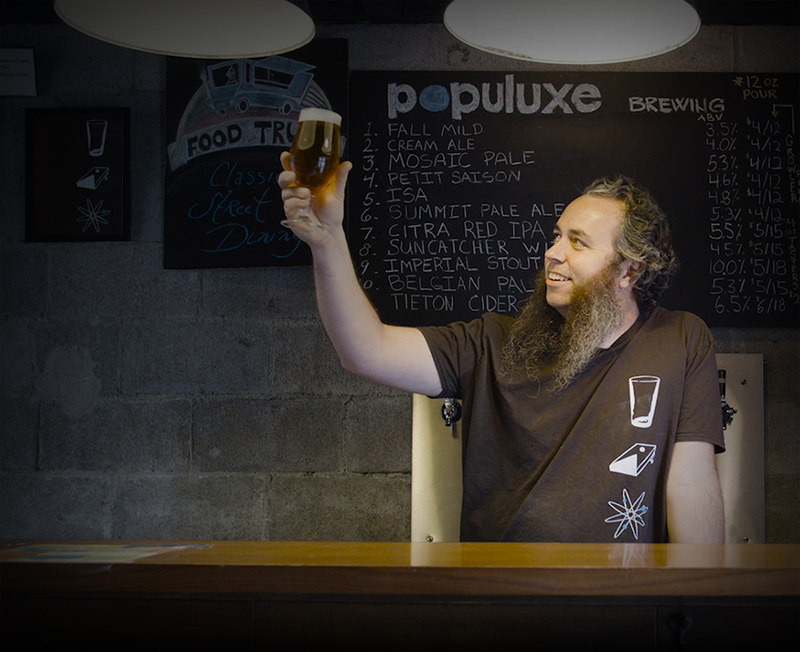 The great craft breweries perfect their beers with a combination of technique and technology; home brewers have always struggled to replicate that on a smaller scale. 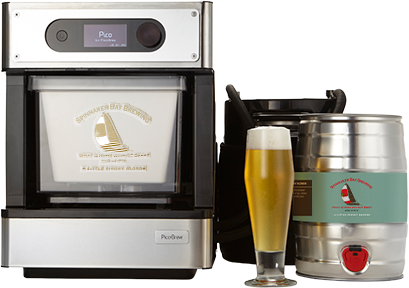 Pico Pro automates the craft brewing process and fits on your kitchen counter. 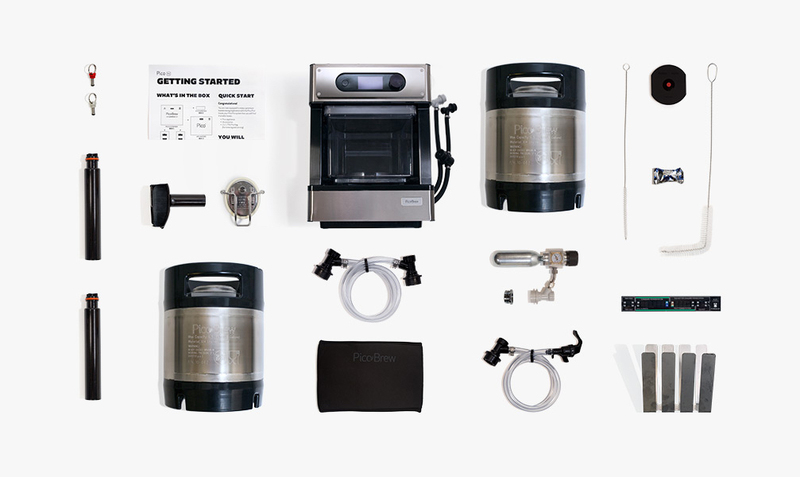 Brewing with your Pico Pro. 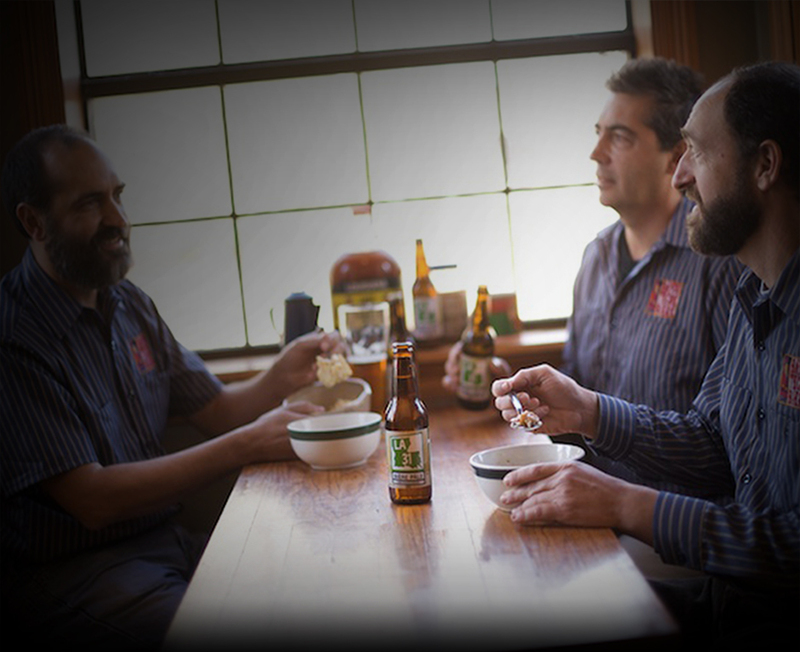 It just makes sense that the freshest ingredients make the best and freshest craft beers. That’s why we build-our PicoPaks “on-demand” with the finest pre-measured grains and hops, and deliver these PicoPaks directly to your doorstep. Your Pico Pro recognizes each specific PicoPak and its associated recipe based on its RFID tag. 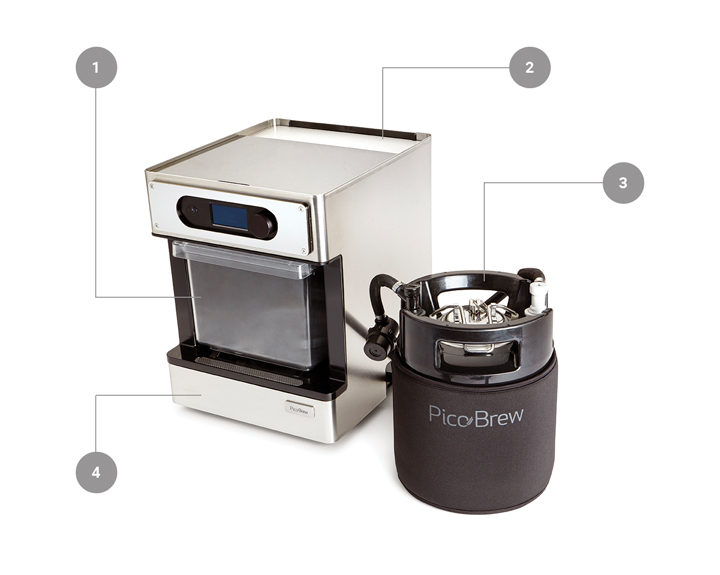 PicoPaks take the guesswork out of brewing and ensure delicious results, every time. And when you're done brewing, you can simply place your spent PicoPak in your compost bin. PicoPaks contain fresh grains that have been malted, roasted and cracked so they are primed to release the special sugars that waters at precise temperatures can unlock. This first stage of brewing is called mashing, and the exact times and temperatures that grains are soaked determines the content of the beer “wort” produced. Control and precision are the keys here to producing the fluids that when boiled, then cooled and fermented become your beer. 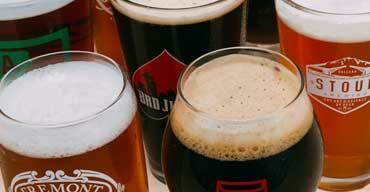 Carbonation: tiny bubbles that make beer happy. Forcing the right amount of carbonation into your beer finishes it off, allows the beer to be crisp and refreshing, enhancing bitterness and mouth-feel, and carrying the fresh hop and malt aromas to your nose. Pico Pro comes with a precision CO2 regulator and cartridges that allow you to finish your beer perfectly. 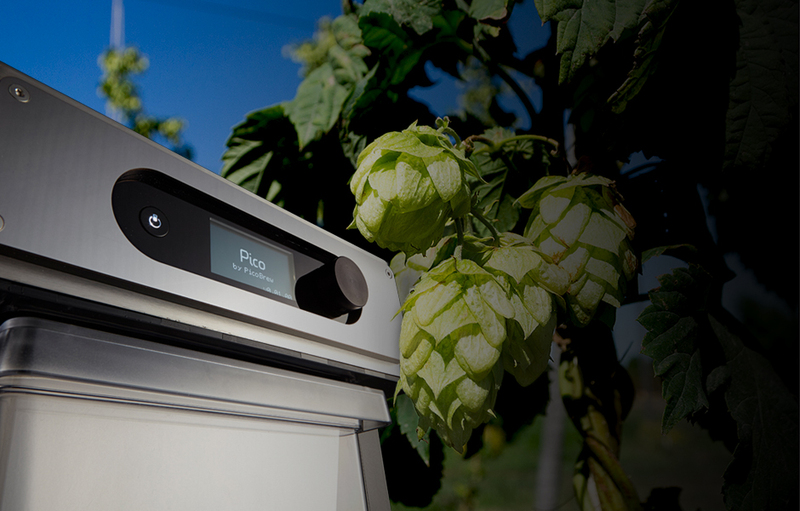 We’ve designed every aspect of the Pico Pro for one reason: to brew better beer. 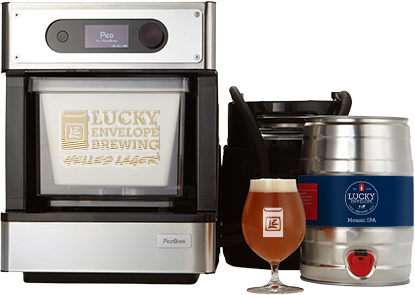 Powerful steam heat brews evenly at a specific temperature and with much more precise control than boiling on a stovetop, preserving your beer’s flavors. Because your Pico Pro is connected to the internet, you can monitor your brew remotely. Designed to look great in your kitchen and be easy to clean. 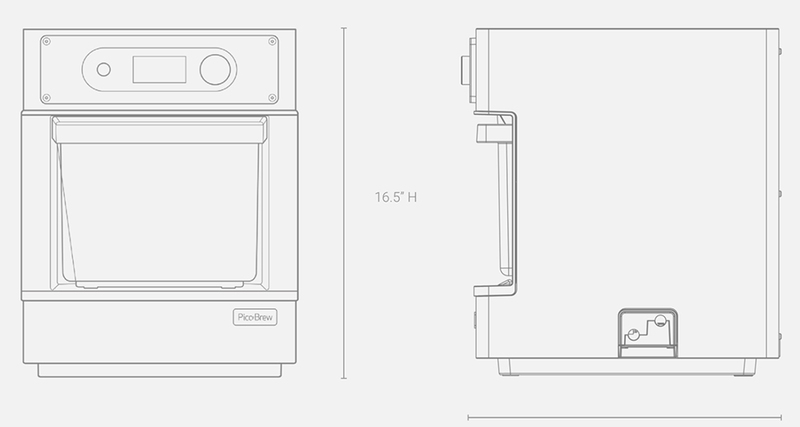 At 12.5” wide x 16.5” high x 15” deep, the Pico Pro is designed to fit on your countertop, under most kitchen cabinets. Brew just like the brewmaster intended, but add your own precise specifications to the recipe by adjusting your beer’s bitterness (IBU) and alcohol percentage (ABV). Explore the possibilities with FreeStyle. Always wanted to see what adding Mosaic hops does to a classic stout? Now’s your chance. Dry hopping an amber ale? You can make it happen. This is your chance to be creative. We’ll build it, you brew it. 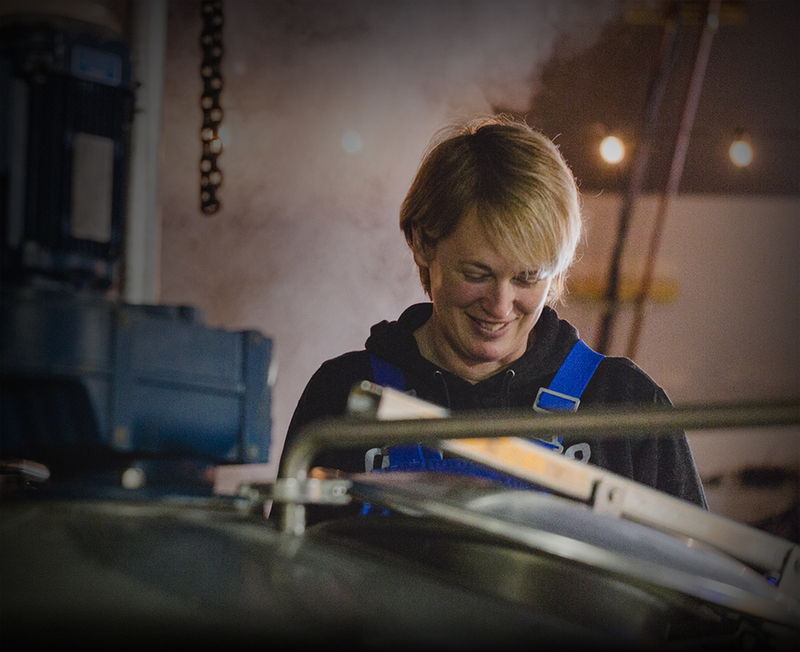 "The coolest thing about the Pico, though, is how you actually brew the beer. Instead of loading up loose ingredients according to a recipe, you use prepackaged pods of grains, hops, and yeast. Just fill the chamber with water when you start, load in the different pods at each step, dump in the yeast pack, and you're good to go." 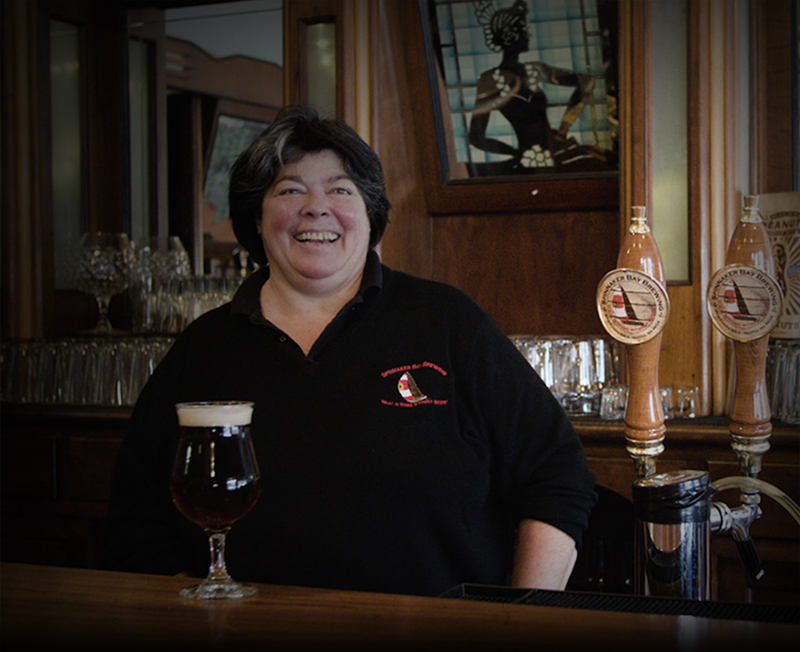 "...it greatly reduces the complexity of making beer." 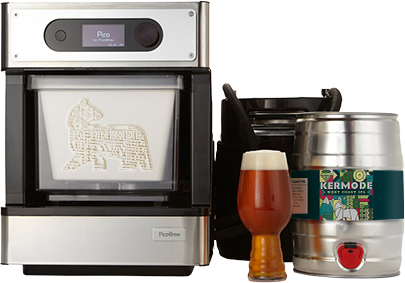 "This countertop home brewery has been called a "Keurig for beer," but that's not a fair claim. 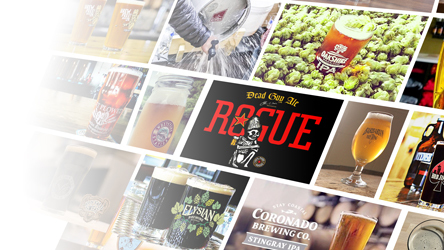 The beer a Pico produces is far higher quality than any liquid that's ever shot out of a Keurig." What’s Included In the Pico Pro Machine Purchase? Is Pico Pro backed by a warranty? With the right care and feeding, Pico Pro is designed for years of great service in the home. We are offering a one year limited warranty for all Pico units. Pico’s brew cycle takes a little over 2 hours to complete, depending on the specific PicoPak recipe. After the brew cycle is finished the beer will need to ferment for up to a week before consumption. From PicoPak to pint the whole process will take approximately up to a week. What's included with the Pico Pro? 74 gram food-grade CO2 cartridges not included in box. Pressurized CO2 cannot ship outside contiguous US. With the right care and feeding, Pico Pro is designed for years of great service in the home. We offer a one year limited warranty on all Pico Pro units. Pico's brew cycle takes a little over 2 hours to complete, depending on the specific PicoPak recipe. After the brew cycle is finished the beer will need to ferment for up to a week before you drink it. From PicoPak to pint the whole process will take approximately 7-10 days. 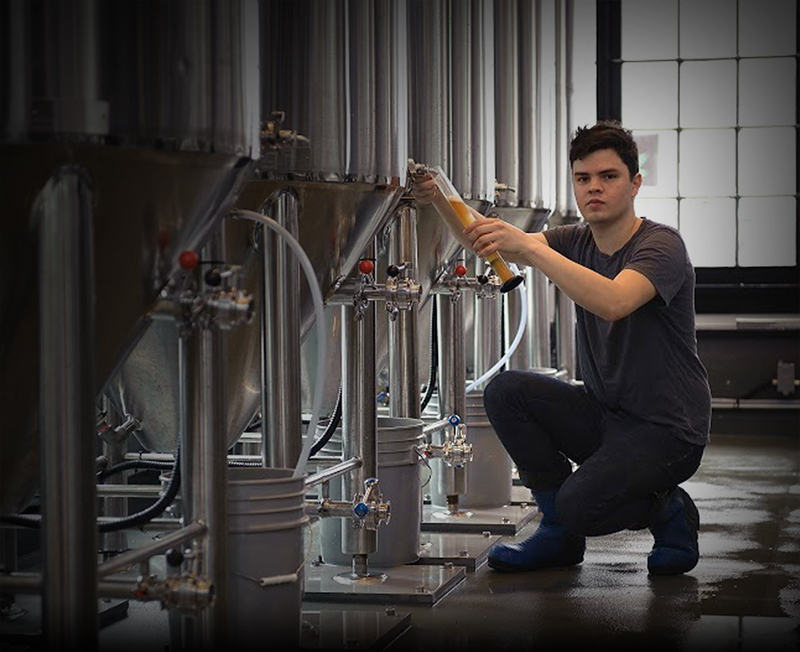 The fermentation process and its completion are functions of several variables, including: beer wort, time, temperature, aeration, and yeast. We provide you with a fermentation temperature decal that will give guidance on the ideal temperature range for fermentation depending on the beer style you brewed and whether you chose to use Fast Fermentation or Standard Fermentation. 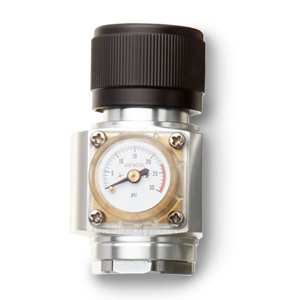 For Fast Fermentation: To check if fermentation is complete, pull up on the fast fermentation adapter pressure relief valve once to release pressure inside the brewing keg. Within an hour, pull up on the pressure relief valve again. If you hear no rush of escaping CO₂ then your fermentation is complete. If you do hear escaping CO₂, then allow fermentation to continue for another day and attempt again the next day. For Standard Fermentation: To check if fermentation is complete, look to see if there is any bubbling activity inside the airlock on top of the brewing keg. If it has been about 10 days, and there are no bubbles, your fermentation is complete. If there is activity, let the beer continue to ferment for a couple more days and check airlock activity again. Transfer with Pico: This is the suggested option for someone new to homebrewing or who doesn't have a spare CO2 regulator and cartridge. Connect the Pico Pro unit's gray ball lock connector to the “IN” brewing keg post, and the Transfer Tube to the “OUT” post of each keg. Turn on your Pico, scroll to Utilities and select Rack Beer. Pico will pump air into the brewing keg which will force the beer in the brewing keg over into the clean keg. This process will take roughly 10 minutes to complete. Do not leave the Pico or kegs unattended while racking beer. Transfer with CO₂: You can connect the ball lock CO2 regulator with a cartridge to your brewing keg “IN” post and attach the transfer tube to the “OUT” post of each keg. This will generate the pressure to transfer your beer from one keg to another. Forced Carbonation: Attach a 74 gram CO₂ cartridge to your ball lock CO₂ regulator, and connect to the Brewing Keg IN post. Adjust to 24 psi and let sit in refrigerator for 36 hours. 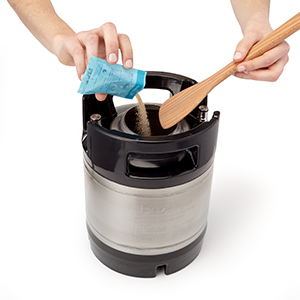 Keg Conditioning (Natural Carbonation): Pour provided sugar packet into Keg with your racked beer. Let the keg sit undisturbed in the same area that you fermented the beer for about twice the amount of time it took for original fermentation, or until fully carbonated. Chill in refrigerator before serving. 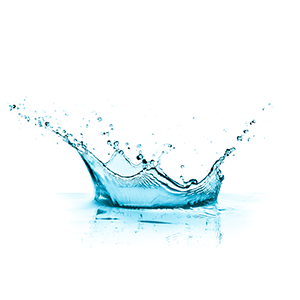 If you are dispensing with a CO₂ system, either a commercial mini kegerator, or our included Party Tap, and there aren't any leaks in the system, the shelf life could be anywhere from a few weeks to several months, depending on the style. What accessories will I need to pipeline my production of beers and have multiple beers available at the same time? 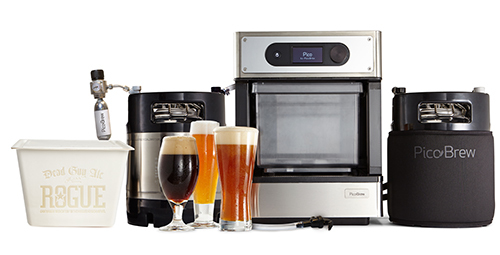 This will depend on how many beers you want to be brewing, fermenting, and serving all at the same time. You use one brewing keg during the brewing session as well as the fermentation process before transferring to another keg for carbonating and serving. For example: If you wanted to have 2 beers on tap, and brew one batch while fermenting another at the same time, you would need 4 brewing kegs (2 for on draft beers, 1 for brewing, and 1 for fermenting) and either two CO₂ regulators / party taps or a kegerator. 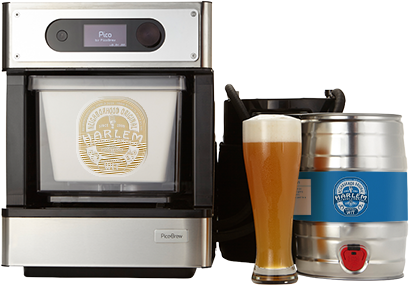 What accessories will I need to dispense my beer using a kegerator? You will need a kegerator equipped with ball-lock connectors, both on the gas/CO₂ line and the beer line. Most off-the-shelf kegerators come with Sankey connectors but ball-lock adapters may be purchased from homebrew supply stores to convert your kegerator to use ball-locks. Your brewing kegs are also designed to be used as serving kegs, or you can use off-the-shelf 2.5-gallon, 3-gallon, or 5-gallon ball-lock (Cornelius) kegs for your kegerator. While you cannot add your own ingredients to Pico, you can create custom PicoPaks using our FreeStyle BrewCrafter. 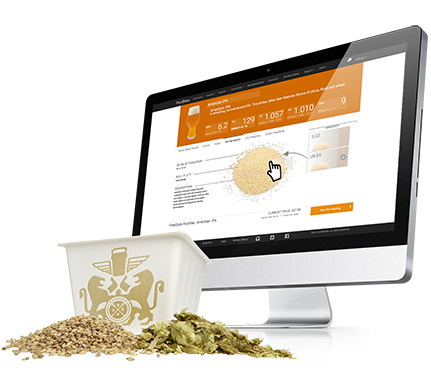 FreeStyle allows you to select which hops, grains, and yeast you'd like, and the amounts of each. We’ll send you your custom PicoPak pre-packaged and ready to brew. Do you ship Pico Pros internationally? We do ship Pico Pros internationally. To purchase an international unit, scroll to the bottom of the Pico Pro page, and select "Looking for International Versions?" Units sold in the US and Canada are 110V and have Type B plugs (standard for the US and Canada). International units are 220V and will ship with a choice of Type F or G plugs. If you live somewhere with a different plug, you are probably already accustomed to needing an adapter for imported goods. If you are not sure what your local 220v plug and socket types are, you can look up your country here. If you have a different electrical socket type, you can use either 220v Pico Pro model with a plug adaptor approved for use with your local 220v socket type.